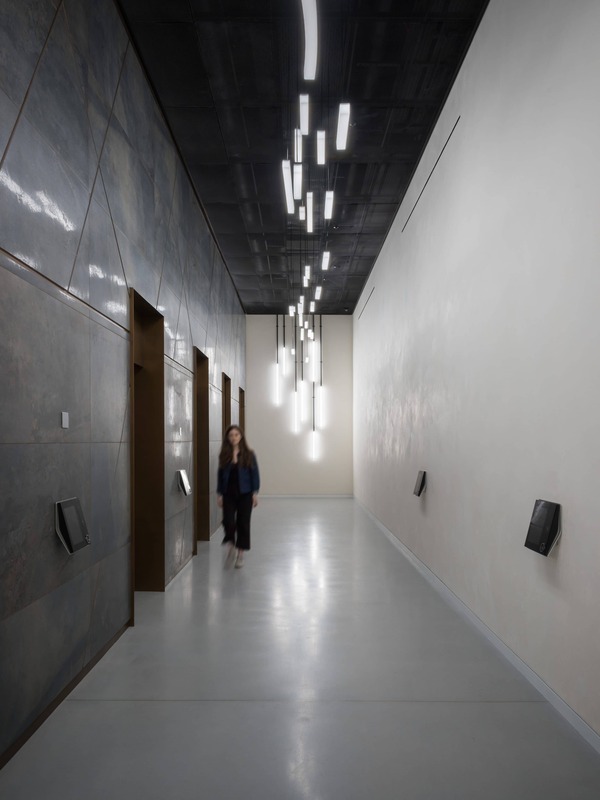 Inspired by the flow of water from the River Fleet that runs beneath Farringdon, the lighting feature ‘Submotion’ drifts through 20 Farringdon Street, the latest scheme from international workspace provider HB Reavis. 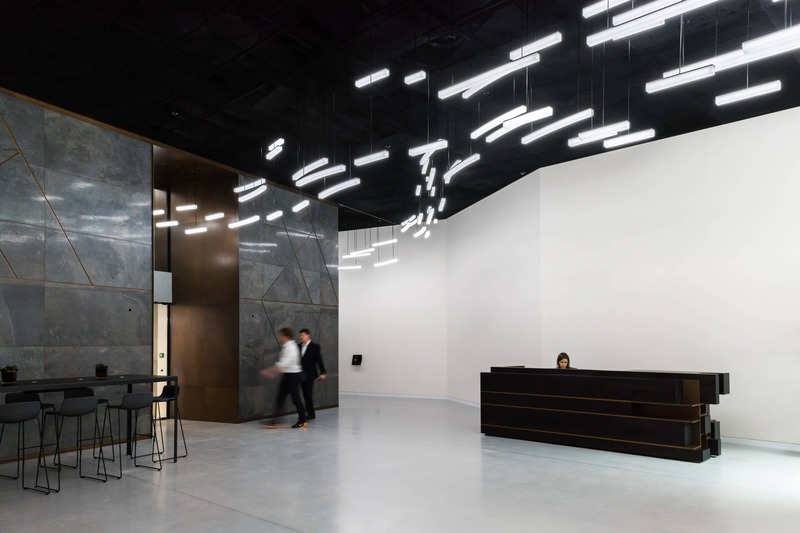 Working in collaboration with architects Denton Corker Marshall and HB Reavis’ in-house teams, Submotion has been designed by art and design studio Acrylicize. 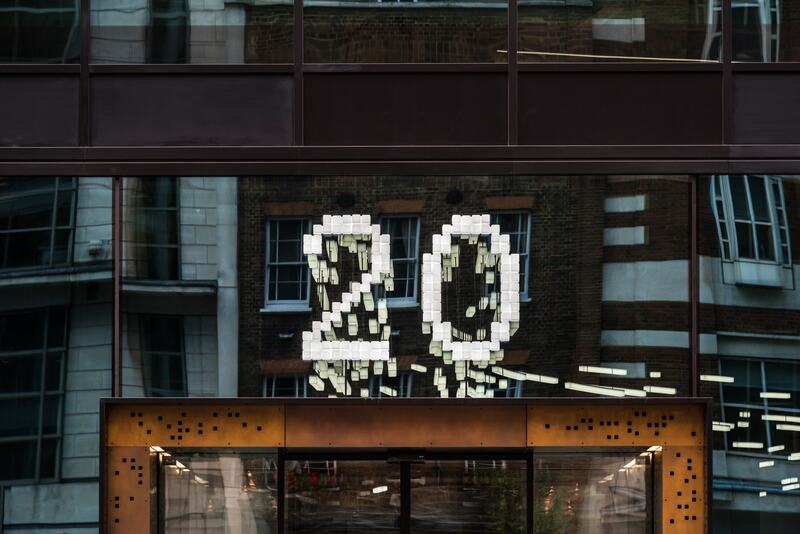 Emanating from the entrance numbers that sit above the entrance portal on the façade, the 650 light batons gently pulse as if inspired by the movement of water, guiding visitors on a journey through the reception and beyond. 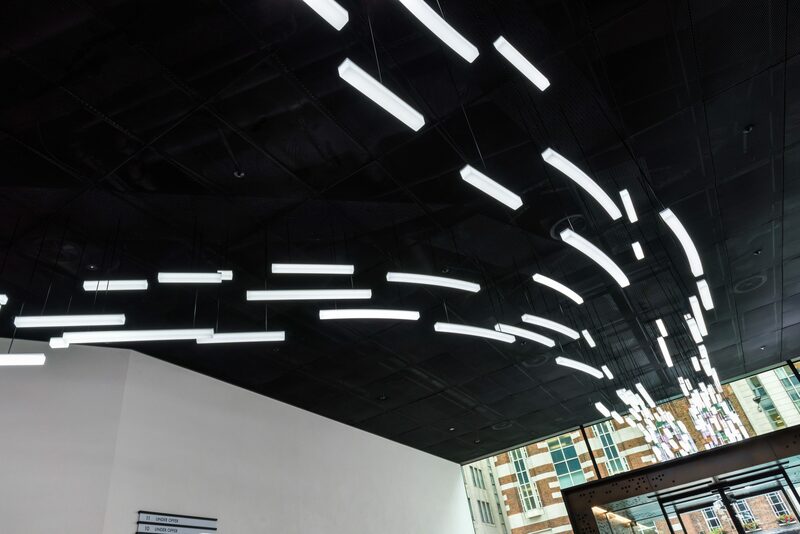 This carefully considered piece also has the option of being set to a continual, steady glow of light, which reflects Farringdon’s perpetual flow of energy and movement, echoing the motion of passers-by outside. 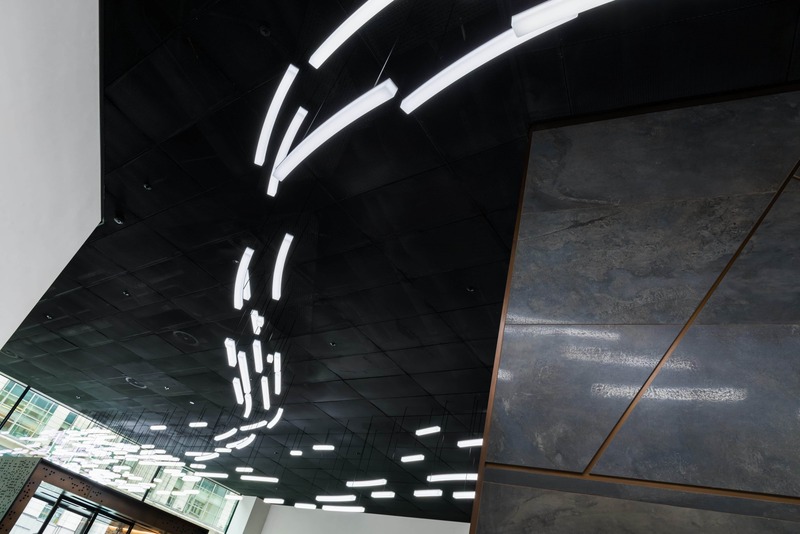 The light installation continues into the building’s core as it pours through the stairwells, encouraging visitors to be led by foot to their destination. 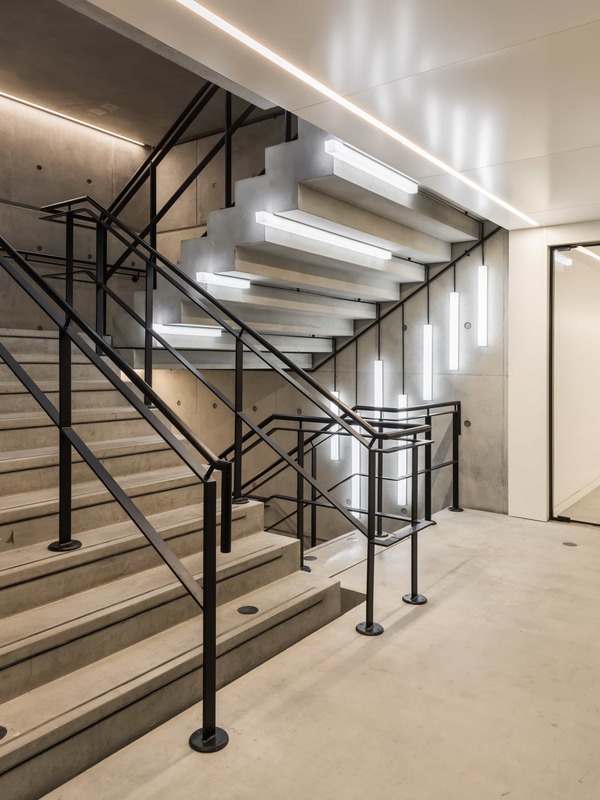 20 Farringdon Street, the third and latest completed central London development for HB Reavis, benefits from six external terraces on the top three floors, facial recognition technology and a dedicated entrance for cyclists located just off the Cycle Superhighway. An award-winning studio of artists, designers and craftsmen, disrupting both the traditional art world model and accepted notions of branding. By playing in the space between Art and Design, Acrylicize tell the unique stories of global clients, creating bespoke artworks that champion the concept: ‘art as identity’.